Sensei was born of a desire to create a higher standard; a philosophy that proves you don’t always have to spend the most to get the best. Sensei is the only shear line completely designed in the USA to enhance the style and technique of American hairdressers. Every shear represents the best quality and value in it’s class and carries a lifetime warranty. 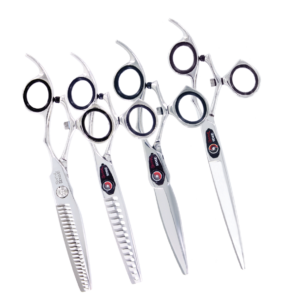 High performance blade technology, together with state of the art ergonomic design, makes Sensei the shears to own. Many styles and sizes available! Interested in Sensei Shears? Contact your sales consultant or call 866-227-4448 for more information!